Are you looking for a Collaborative Divorce attorney in Northern NJ? 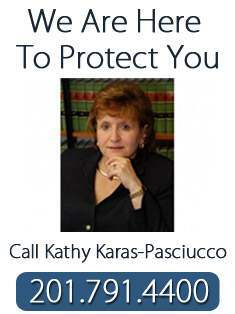 Kathy Karas-Pasciucco of Feitlin, Youngman, Karas & Gerson is a Collaborative Divorce attorney in Northern NJ. If you are contemplating a divorce you may want to consider a Collaborative Divorce which is a peaceful way to resolve the issues between the parties in a non-adversarial manner. It is also important to recognize the benefits of collaborative divorce when children are involved. 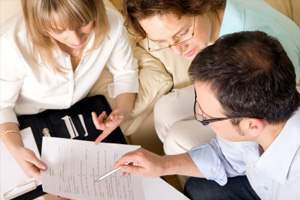 In order obtain a divorce through the collaborative method, the parties must be motivated to work through their problems using collaboratively trained professionals including attorneys, therapists, accountants and child psychologists, if necessary. The benefit of Collaborative Divorce is that it is geared toward maintaining a much more constructive framework for resolving the issues. The collaborative framework enables the parties to work in a friendly setting with the assistance of trained professionals. The team consists of attorneys and mental health professionals including child psychologists, if necessary. The professionals have collaborative and mediation training as well as experience in dealing with divorce issues in a non-adversarial manner. It is amazing to see the parties’ stress levels decrease once the collaborative process begins. The use of trained professionals who are able to assist the parties to resolve the difficult issues not only improves the divorce process but it helps to build a working relationship between the parties after the divorce is finalized.